Everyone knows that signage is important at a trade show. It is often the first contact that a potential client has with your business, so it's worth putting time and effort into getting the best and brightest signage. But with the many options out there, it can be difficult to determine which type is right for you. From tabletop banners to retractable banners, this article will strive to introduce you to the options so that you can make an educated decision about what type of banner will work best for your next professional event, so that you can make the best impression possible. What is a trade show banner? A trade show banner is a sign which signifies your business to the public and passers-by at a trade show. If you think of trade show aisles as busy streets, the banner is the sign on your store. A poorly designed sign is easy to walk by; a well designed sign commands attention and can pique the curiosity of potential customers. Unlike a standing store, you don't want to put up a permanent sign or invest in an expensive neon fixture. Since a trade show is temporary, you want a sign that is easy to transport, striking to display, and easy to dismantle. At the same time, you want a sign that is striking, professional, and that will draw customers in. As such, trade show banners will often be designed with travel in mind, and will be collapsible, foldable, or otherwise easy to transport. A guide to the types of trade show banners. 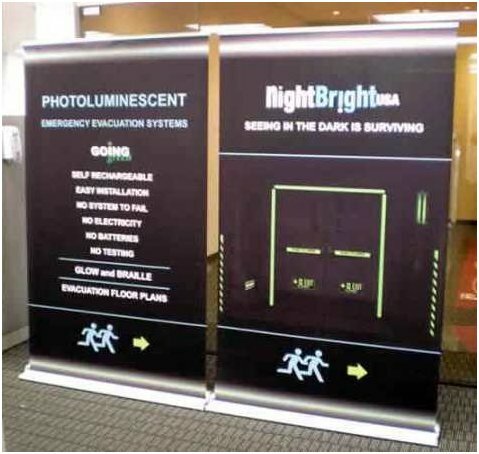 Here are some of the most common types of trade show banners, with an explanation of each type so that you can evaluate which kind might be the best fit for you. Feather-light flag banners are suitable for events both indoors and outdoors, and are easy to pack since they are light and easy to transport. 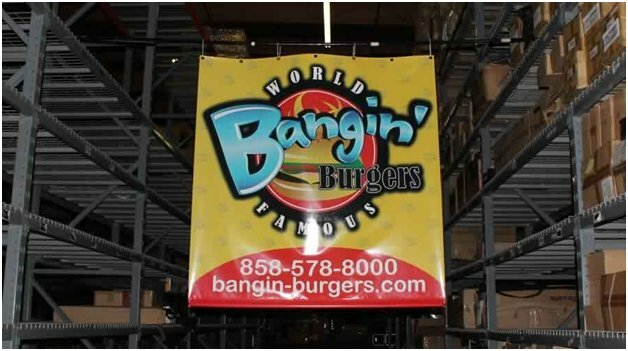 A hanging banner can be draped over a display wall or hung from the ceiling, or a banner can be draped over a table. Some types of hanging banners, like vinyl banners, have perforations along the perimeter so that it can be strung at any height, which can be particularly helpful for outdoor events. This is a heavy duty, customized tablecloth that acts as a banner while also providing a cover for your display table. Easy to transport and lightweight, this is a great solution for a number of business types. 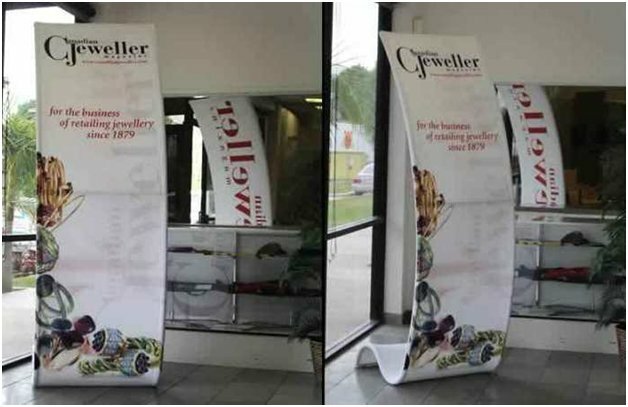 A-frame banner (sometimes called a "sandwich board" is an easy trade show signage solution, acting as a banner which can be displayed in the aisle of the show to draw customers into your booth. A Fabsta™ banner has a polished, professional look, but is easy to set up and dismantle. Digitally printed stretch fabric is fitted over a form for a dynamic display sign that really draws attention to your business. A heavy water-filled base acts as a sturdy anchor for an upright banner, which is extremely well-suited for outdoor events or even indoor events where signage could potentially be jostled or where there is a significant breeze from fans in the center. Since the base can be filled with water on site but transported hollow, it is lightweight, which makes it well suited for travel. 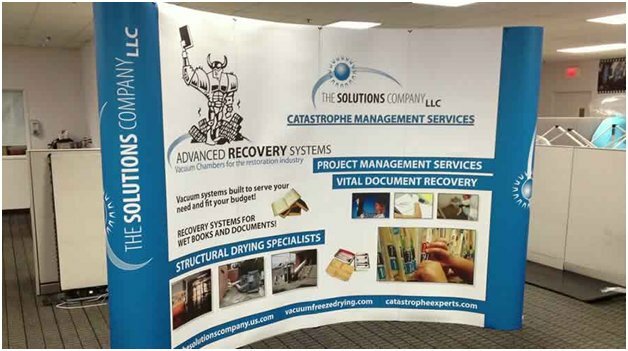 The versatile retractable banner is a trade show favorite. In the most classic version a banner unrolls from a sturdy floor base (think of the slide projector your High School History teacher would roll down, but in reverse) and then held upright with a rod. Retractable banners are available in all sorts of sizes, and there are even two-sided versions available. How large is your booth? Consider the size of your booth. 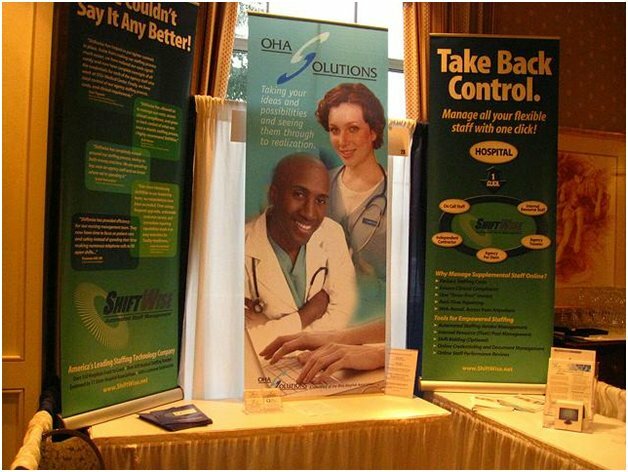 If you have a 10 by 5-foot booth, for instance, a large retractable banner may dwarf the rest of your booth. How are you shipping items? If you are shipping all of your trade show supplies in a crate, make sure that your signage solution will fit in the crate. This is particularly important for banners with frames, such as retractable banners. Is the event indoor or outdoor? If an event is indoors, you have the freedom to choose a sign without worrying too much about the elements. However, if your show is outdoors, you want to be sure that it is safe from elements such as wind, rain, or bright sun. How large is the event? At a smaller, more intimate trade show, smaller signage will be sufficient. However, if it's a huge convention, a tiny tabletop banner simply won't draw attention, and you'll need flashier and larger signage. What is the image that you want to project at your show? Having assertive signage, or more muted signage, can help you project the image that suits your business. 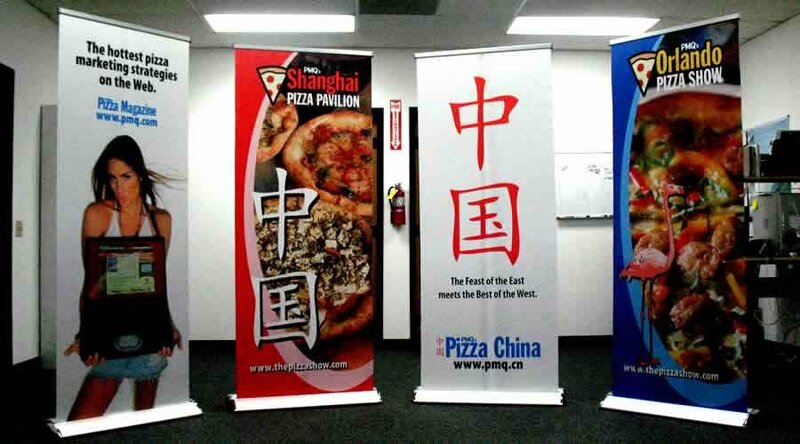 Conclusion: There are numerous different types of banners which can be used for trade shows. While the choices can be intimidating, the fact is this: there isn't a wrong choice, it's more a matter of figuring out which one is best suited for you and your business. By educating yourself on the key types of trade show banners, you're one step closer to creating the polished, professional trade show booth of your dreams. What type of banner do you use for trade shows?